Health first. Social Life second. It's a process that has a natural tendency to occur when a person undertakes Lyme Disease; they may become estranged from friends, family, or a lover. 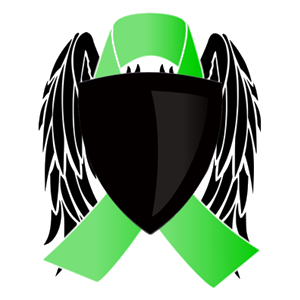 While not everyone battling Lyme Disease becomes disconnected from the people that they love so dearly, nearly everyone battling Lyme Disease has a difficult time maintaining these relationships. But why? Lyme Disease, after a conscious understanding of its requirements becomes the main focus and priority in a person's life. If it doesn't, a person's health may continue to decline and may even result in death. This small bit of logic provides the foundation that those battling Lyme Disease use to justify their willingness to engage in a contentious manner with Lyme Disease, which then may naturally lead to estrangement. It's a justification that has every reason to exist. So why does it become so difficult for a person to maintain an active social life while battling chronic Lyme Disease? Just being a biological organism requires the use of both physical and mental attributes in order to survive. If any of these attributes become compromised or hijacked, being a human being can become very difficult very fast. The symptoms those with chronic Lyme Disease experience are highly likely to be unprecedented. Severe fatigue, pain, inflammation, the biological hijacking of the systems of the body, and mental and cognitive degeneration; all just don't allow for a person to be a social butterfly. They may attempt to continue to be social, but doing so is no longer the walk in the park that is was before Lyme Disease. From a simple conversation, to skydiving, the body of a person with Lyme Disease simply just does not allow for, or easily welcome, social activities. It's hard enough for a person with Lyme Disease to track down and attain all the answers for themselves regarding their own state of health, and then to be questioned about their battle with Lyme Disease from another person? Forget about it! Lyme Disease, in a nutshell, temporarily hinders and collapses the life a person knew. They lose their ability to work, go to school, and even perform their once indulging hobbies. It's not easy for a 45 year old woman to tell her friends and family that she no longer works because of an bona fide illness that may appear delusionally to others as pure laziness. It's surely no self-esteem booster for a 14 year old boy to tell his friends that he can't come out and play for the fourth week in a row because he's too tired. And of course it's a crushing blow for a 21 year old junior in college to unwillingly bring his college endeavors to a halt. The raw nature of Lyme Disease is unusual and bizarre to a mind that has never embraced or experienced it, and surely will breed misunderstanding in conversions. The misunderstanding or ignorance of Lyme can lead to ridicule about the person with Lyme Disease, giving them all the more reason to not only isolate themselves, but justify their disconnection from socializing. Depending on their treatment protocol, a person battling Lyme Disease may be taking an extensive amount of medicine to help themselves heal. Extensive is by no means an exaggeration as the amount of medicine that needs to be taken in a given day, the method for application, and the rate at which it must be taken, tend to dictate a person's daily schedule. While a person may be able to turn their treatment protocol into a mobile protocol once in a while, doing so time and time again can be very frustrating, and be a burden. It can be so frustrating at times that the social activity a person with Lyme intends to engage in doesn't even become worth the effort. The ease of taking medicine at home becomes more appealing, and further crushes the chances a person with Lyme may take to become socially active. While herxing could easily fall into reason number one, it is its own entity when it comes to battling Lyme Disease. A person may have physical and mental symptoms deteriorate, but the cause is not always bacteria die off. Herxing itself, which is the result of treatment (i.e., bacteria die off), can be generally agreed upon as being worse than having Lyme Disease without treatment. This is why many people refuse to restart their treatment after starting and then stopping it - they felt better before its application. Herxing is very unpredictable, can be lengthy, extremely debilitating, and even harder to bring under control. While normal Lyme Disease symptoms cause severe physical and mental symptoms, herxing really allows symptoms to reach their maximum power and prominence on a person. Symptom unprecedentedly manifest to the most unbearable levels. And it's not uncommon for a person to feel as if their IQ level had dropped 50 points. The tools that allow the human body to become socially engaging become hijacking during a herx. The prevailing desire is to simply avoid all human contact. Of course it's not easy to disengage yourself from the people you've surrounded yourself with for nearly your whole life. Being social is part of what makes us human, and to have that ability nearly entirely taken away, it hurts. It really does. It is important to remember that this process of becoming estranged from family and friends is normal. Many people battling Lyme Disease encounter this sociological symptom of Lyme as it's nearly inevitable. But, as social as we human beings are, and as important as socializing is for our minds, you can get through the periods of isolation. You'll survive. It won't be easy to endure but it can be done. Socializing may not even be on the list of objectives to complete in the beginning stages of Lyme Disease treatment, but as healing occurs, you'll find not only the desire to want to be social becoming more prevalent, but as well as the ability to do so. It's a simple logic: Put your health first! Friends, a lover, and family will likely be there when you've recovered. And even if they aren't, you will possess the ability to make new friends and even repair relationships. It's a reward that will return for the strenuous efforts you put forth to overcoming Lyme Disease.